I admit it. 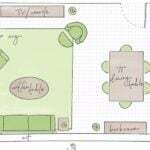 I let clutter build up, even now, after years of blogging about organization, design and decorating! Ok, so it happens to most of us. We let our guard down for a couple of days, and next thing we know there are stacks of mail on the office desk hiding the keyboard, and those library books on the kitchen counter are just waiting to get returned… Oh, and those sample shampoos cluttering up the bathroom window sill? You are going to get around to trying them out tomorrow, right? Aha. 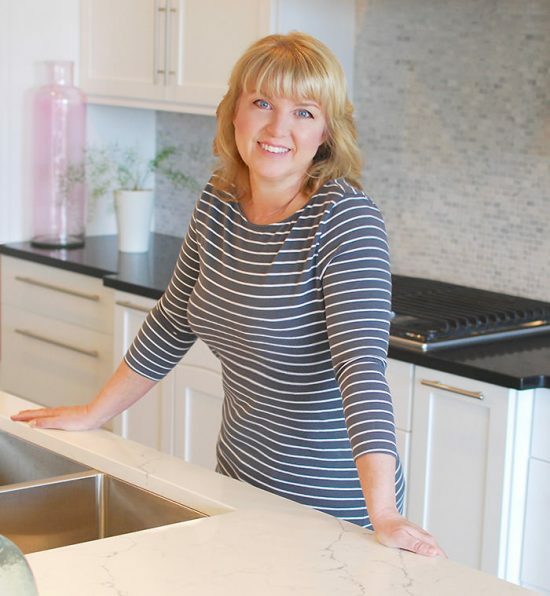 We all need a little help in the clutter department from time to time, and these simple tips to a clutter free home will get you on your way! You don’t have to do it all at once, try a new tip each day for a week and see if you don’t notice a huge difference. Oh, and you might even remember what those DIY throw pillows you worked so hard on actually look like, underneath all those sweaters that were waiting for you to bag up for Goodwill. 1 – Take one space at a time, one day at a time, and clear the crud. That means taking a nice Hefty bag, and getting brutal. Are you really gonna use this again? If the chance of it being useful is less than 50%, toss, donate or sell. It means you can live without it. 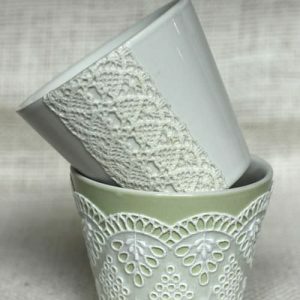 2 – It’s that old adage, “a place for everything, and everything in it’s place” that keeps homes clutter free. So the first step is making sure everything has it’s own spot. Use labels, especially if you have other family members who might forget the new system. 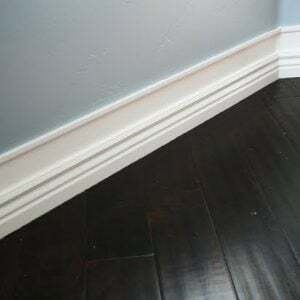 3 – If it’s used more frequently, make it’s “spot” more accessible. If it only used during the holidays, relegate it in some far away cupboard that is a pain to get to, but it doesn’t matter ’cause you only have to do it once a year. 4 – You’ve heard it before, don’t procrastinate. That is especially important when it comes to clutter. Don’t set the mail on the counter to go through later, don’t pile the laundry on a chair to put away when you “have a minute”. Just do it. 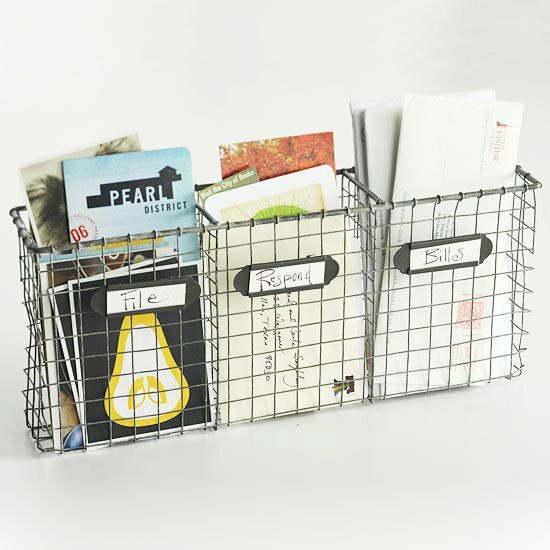 I love this mail organization wire basket idea from ‘Live Simply by Annie’. Getting it? 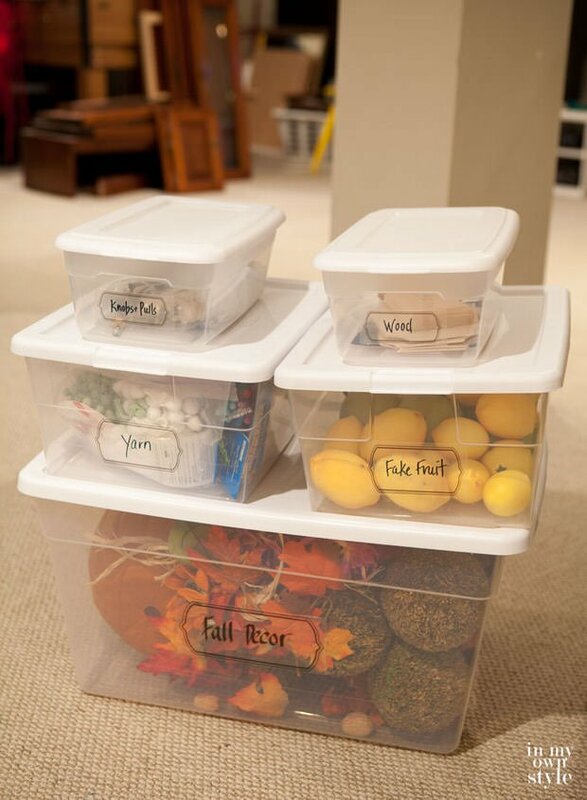 5 – Bin and label everything. Everything. Diane from ‘In My Own Style” had the right idea when decluttering her basement. 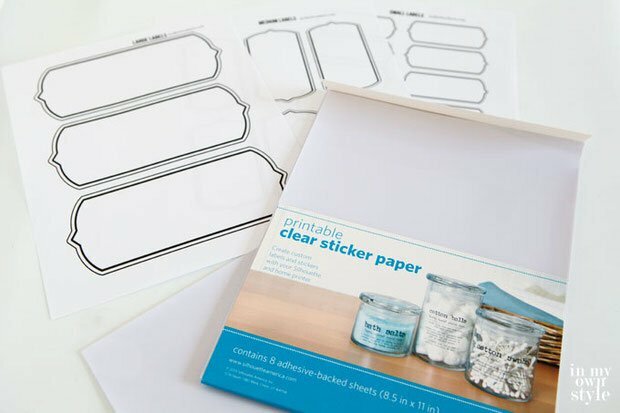 She also has free printable storage labels for you! 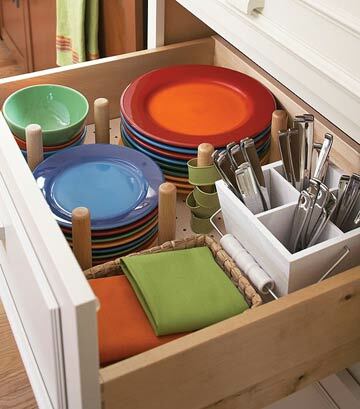 6 – The kitchen is the first place that needs to be well organized. Check out our posts on OhMeOhMy on organizing your pantry and organizing your fridge. Do you really need to keep that gourmet mustard from 1995, just because it was a Christmas gift? Do you need 16 pot holders? Photo below by BHG. 7 – Download owners manuals and instructions online and store them in a folder on your computer, not piled in the kitchen drawer you need for potato mashers. 8 – Got kids? 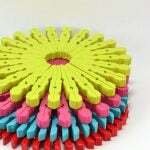 Then you need clutter baskets, a great idea from ‘Sew Many Ways‘. 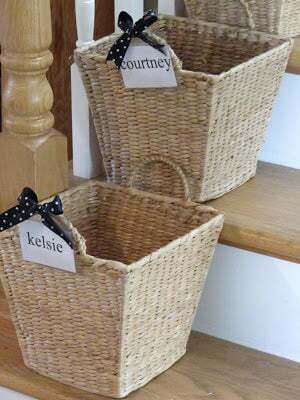 Keep labeled clutter baskets for each family member, and into them goes the stray toys, school books, missing tennis shoes and sweaters dropped just inside the front door. Once a day, they get emptied, but in the meantime, “things” are not cluttering up your tabletops, or spread across the floor! 10 – Use the alarm on your phone, and set it for the same time each day for 7 days. Then for 15 minutes each day at that time, declutter. Throw away, pack away, find a new way to organize something, and before you know it, your whole house will be a clutter free zone! 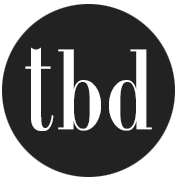 Love all these tips and tricks to decluttering. I definitely like that basket idea for different family members to put stuff in then put it away later on. Keeps the home least messy.